Black Matrix Complete Set! 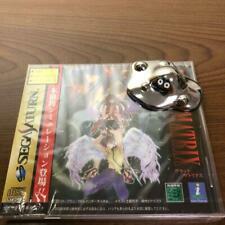 Sega Saturn SS Japan Very Good Condition! 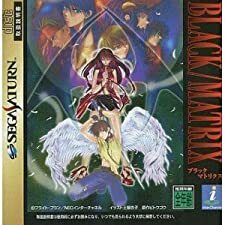 Black/Matrix BLACK MATRIX + Spine card SEGA SATURN Japan Import RPG SS Complete! 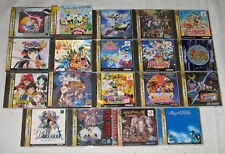 Black Matrix, Saturn, Sega, NTSC, JAP, Sega, Nec, SS, very good condition, raro! Japanese Game Sega Saturn Black Matrix Nec Interchanel Near Mint Shape ! 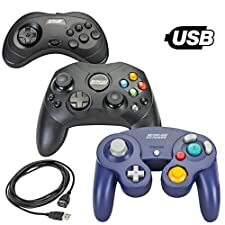 3 USB Classic Controllers - Gamecube, Sega Saturn, Microsoft Xbox (Original) for RetroPie, PC, HyperSpin, MAME, NeoGeo FBA Emulator, Raspberry Pi, Odroid Gamepad, with 10' USB Extension Cable!